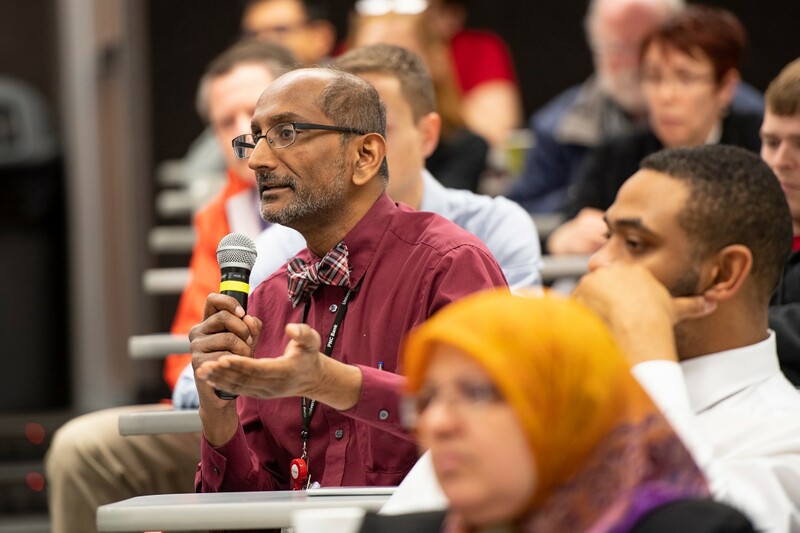 The Department of Internal Medicine has long served as an incubator for discovery and scientific advancement at the university and comprises nine divisions with more than 280 faculty as clinicians, scientists and investigators. The department is responsible for $86.9 million in research funding, including $10.3 million in new awards during the 2018 fiscal year. Shailendra Patel, DPhil, speaks during the 8th Annual Internal Medicine Research Symposium at the UC College of Medicine. 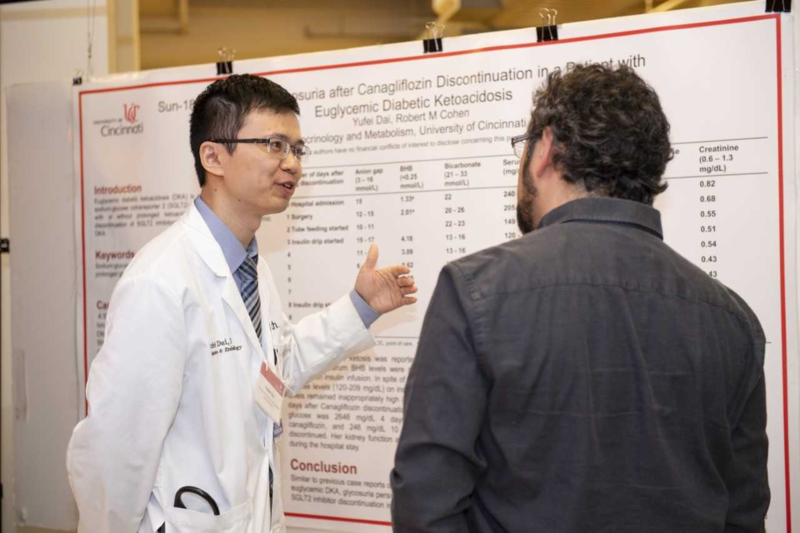 Yufei Dai, MD, is shown at the Internal Medicine Research Symposium. 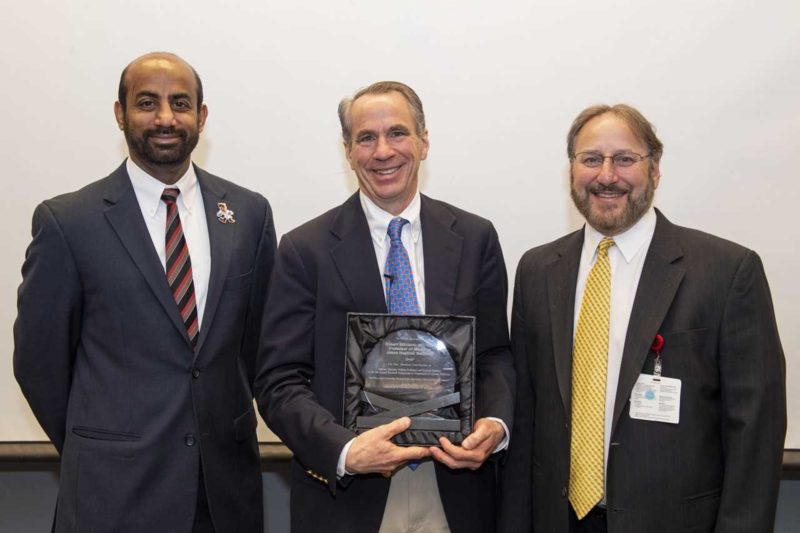 Sakthivel Sadayappan, PhD, is shown with Robert Siliciano, MD, PhD, and Carl Fichtenbaum, MD, at the Internal Medicine Research Symposium. Siliciano received an award of appreciation from the Department of Internal Medicine. 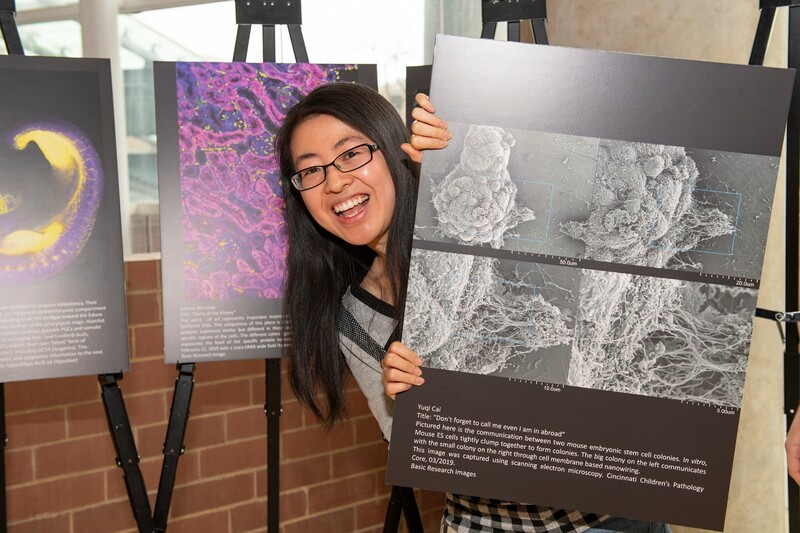 Yuqi Cai, PhD, is shown at the Internal Medicine Research Symposium image competition.